The Doris Day Animal Foundation (DDAF) is a national, nonprofit 501(c)(3) Public Charity founded in 1978 as the Doris Day Pet Foundation by legendary performer, Doris Day, with a straightforward mission that continues to this day: to help animals and the people who love them. As a grant-giving charity, DDAF funds other 501(c)(3) organizations across the United States that directly care for and protect animals. A life-long animal lover and advocate, Doris recognized that the animal welfare community in the 1970s was a sorely lacking landscape, and that through her own organization and celebrity status she could make a difference for the animals. When she initially founded the Doris Day Pet Foundation, Doris focused on finding homes for the too many animals that were being destroyed simply because there weren't enough good homes. Her grassroots efforts resulted in Doris' personally rescuing hundreds of animals over the years. In addition to fostering animals at her own home, Doris and DDPF were leasing kennel space, providing for veterinary care, and finding loving forever homes for the increasing numbers of homeless pets with the help of a dedicated staff of volunteers. Affectionately known to some as “The Dog Catcher of Beverly Hills,” Doris would often find unwanted dogs dropped off at her gate. It was not uncommon for her to knock on neighbors’ doors in an attempt to reunite lost dogs with their owners or check to make sure those that were either reunited or in new homes were doing well and receiving proper care and attention. One star was famously quoted as saying, "We all had at least one of ‘those Doris Day animals.' If you would see Doris on the street or at the studio, chances are you would end up with some homeless cat or dog Doris was sponsoring. She carried around photos of the animals who needed homes, and then she'd actually come over to inspect your house to make sure you were up to it." Despite the large number of animals that Doris and DDPF were rescuing, Doris knew it wasn’t enough, and that addressing the root cause of homeless pet overpopulation through spay/neuter was the key. To complement the Doris Day Pet Foundation, she formed the Doris Day Animal League in 1987, a national non-profit citizens’ lobbying organization, whose overriding mission is to reduce the pain and suffering of non-human animals through legislative initiatives, education and programs to develop and enforce statutes and regulations protecting animals. 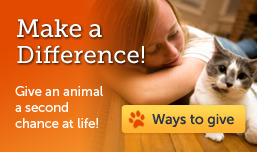 In 1995 Doris and DDAL founded Spay Day USA. Now known as World Spay Day and under the auspices of the Humane Society of the United States, this annual event has reached global proportions and has helped spay and neuter more than 1.5 million animals in the first 15 years since inception. In 2007, the Doris Day Animal League merged with the Humane Society of the United States for an even greater legislative voice in Washington. The Doris Day Pet Foundation has evolved into the Doris Day Animal Foundation, whose efforts have become even more far-reaching. With Doris’ continued hands-on involvement, DDAF has become a grant-giving organization, funding other nonprofit 501(c)(3) causes across the country that share DDAF’s mission of helping animals and the people who love them. 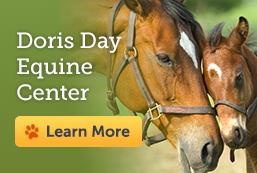 In addition to assisting numerous organizations with various programs, such as spay/neuter, veterinary expenses, seniors programs, pet food pantries, wildlife rehabilitation and educational resources, some of DDAF's “legacy” project funding includes World Spay Day, the Doris Day Equine Center (located at Cleveland Amory’s Black Beauty Ranch in Murchison, Texas), the Duffy Day Life Saving Program (giving a second chance to older and injured animals that may otherwise face euthanasia), the Doris Day/Terry Melcher Scholarship at UC Davis School of Veterinary Medicine and many others. As we approach our 40th year, the Doris Day Animal Foundation continues to complement and build upon the many successes of its sister organization, the Doris Day Animal League. With your help, we can continue to create caring communities that acknowledge the relationship between animal welfare and human development.